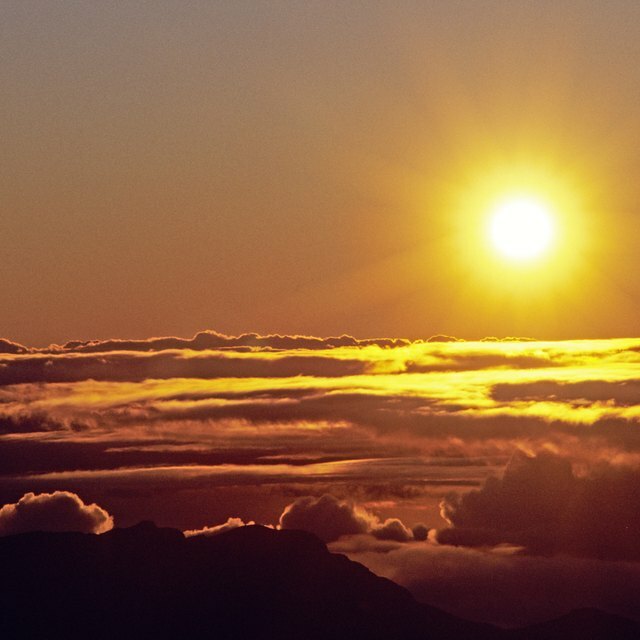 How Does the Earth Receive Heat From the Sun? How Do Large Bodies of Water Affect the Climate of the Coastal Areas? Why Does Ice Have a Lower Heat Capacity Than Liquid Water? It takes longer to heat water to a higher temperature than it does to melt ice. While this may seem like a baffling situation, it is a major contributor to the moderation of the climate that allows life to exist on Earth. The specific heat capacity of a substance is defined as the amount of heat required to increase the temperature of one unit mass of that substance by 1 degree Celsius. The formula for the relationship between heat energy, temperature change, specific heat capacity and change in temperature is Q = mc(delta T), where Q represents the heat added to the substance, c is the specific heat capacity, m is the mass of the substance being heated and delta T is the change in the temperature. The specific heat of water at 25 degrees Celsius is 4.186 joules/gram * degree Kelvin. The specific heat capacity of water at -10 degrees Celsius (ice) is 2.05 joules/gram * degree Kelvin. The specific heat capacity of water at 100 degrees Celsius (steam) is 2.080 joules/gram * degree Kelvin. 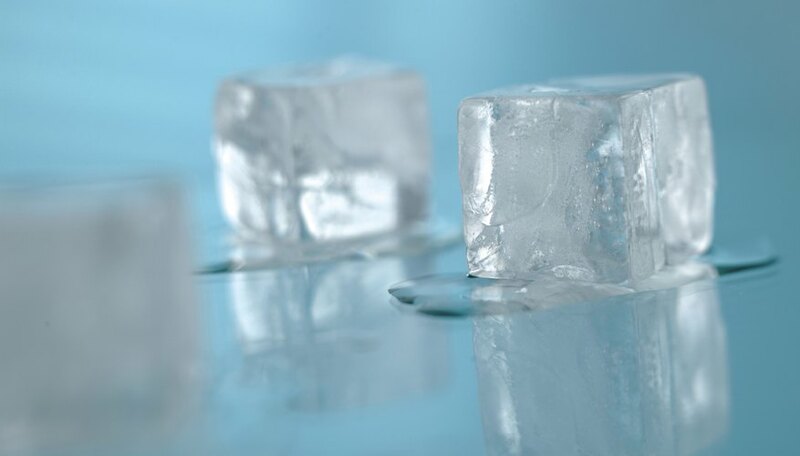 Probably the most obvious difference between ice and water is the fact that ice is a solid and water is a liquid, but while the state of matter changes from solid to liquid to gas depending on temperature, the chemical formula remains two hydrogen atoms covalently bonded to one oxygen atom. A degree of freedom is any form of energy in which heat transferred to an object can be stored. In a solid, these degrees of freedom are restricted by the structure of that solid. The kinetic energy stored internally in the molecule contributes to that substance’s specific heat capacity and not to its temperature. As a liquid, water has more directions to move and to absorb the heat applied to it. There is more surface area that needs to be heated for the overall temperature to increase. However, with ice, the surface area doesn’t change due to its more rigid structure. As ice heats, that heat energy must go somewhere, and it begins to break down the structure of the solid and melt the ice into water. The higher specific heat capacity of water as well as its high heat of vaporization allows it to moderate the Earth’s climate by causing temperatures to change slowly in areas around large bodies of water. Because of the high specific heat of water, water and land near bodies of water are heated more slowly than land without water. More heat energy is necessary to heat up the area because the water absorbs the energy. A similar amount of heat energy would increase the temperature of dry land to a much higher temperature, and the soil or dirt would keep the heat from going into the ground. Deserts reach extremely high temperatures specifically because of their lack of water. Wolfe, Kari. "Why Does Ice Have a Lower Heat Capacity Than Liquid Water?" Sciencing, https://sciencing.com/ice-heat-capacity-liquid-water-5481950.html. 14 March 2018.